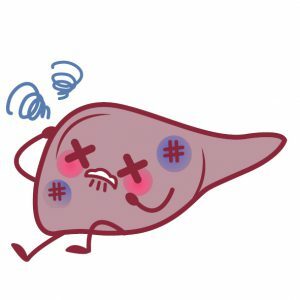 What is liver cirrhosis? What might be the complications? At the beginning, fibrosis is often asymptomatic, even when it reaches the cirrhosis level. In that case we call it compensated cirrhosis, meaning not that your body has found ways to able to adapt to the liver disease. Ascites is the appearance of an excess of liquid in the abdominal cavity and it can get infected. Icterus, more commonly known as jaundice, is a yellowing of the skin and other tissues due to increased bilirubin in the blood. Hepatic encephalopathy is a neurological disorder related to non-eliminated toxic accumulation. The primary liver cancer, also called “hepatocellular carcinoma”, is a final complication of cirrhosis and can stay asymptomatic for a long time.